I hope the new modem works... a month of painful access. wow, that's superpooper fast. 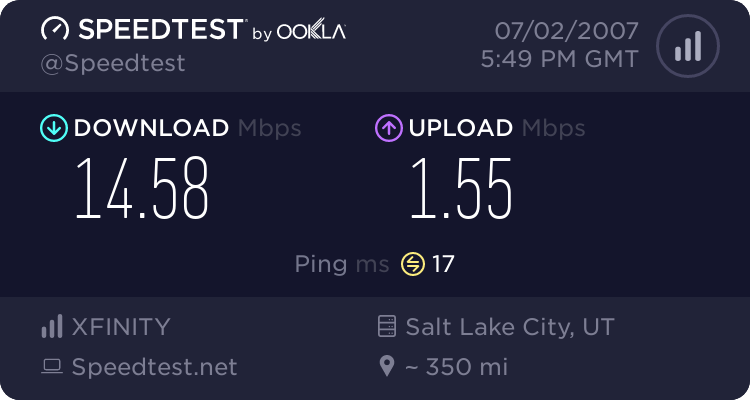 i get MAYBE 3000kb/s on a good day with our supposed 5mb comcast. usually it's closer to 1500 or 2000.